Congratulations to "Taurus", the winner of Patricia's giveaway. Thank you to all who participated! ANIMAL INSTINCTS, my urban fantasy romantic suspense novel, required quite a bit of worldbuilding. My hero, Luc Lazare, is half-human, half-Kindred, and he’s a man who has been pulled between his two worlds all of his life. The Kindred part is reference to his father’s line–descendents of the Nephilim (progeny of fallen angels and earthly women) who are shapeshifters. 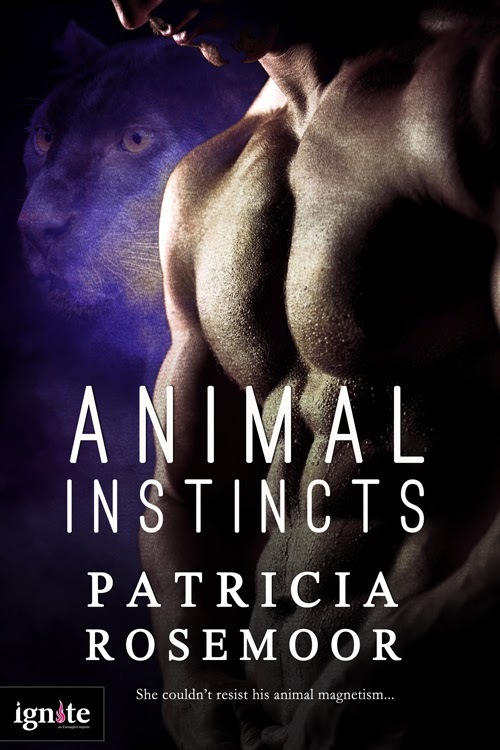 Luc’s family is panther, but other Kindred are other predators–wolves, hawks, African wild dogs, pythons and more. In their human form, their goal is to gain power by corrupting the rest of humanity. I had to figure out how to build their world within our world, how they would interract with humans, and I decided on a casino boat. I made The Ark the first licensed casino in Chicago, license granted due to Luc’s father’s “influence.” I didn’t want to dock the casino boat at Navy Pier, so I built a different world at Northerly Island, formerly Meigs Fied (small aircraft) and now a nature preserve and part of the Chicago Park District. Suddenly the tunnel went dark. I stopped to get my bearings, to wait for some illumination so I could see where I was going. A bit of filtered light came from the moon and my eyes eventually adjusted. That’s when I heard them. Footsteps behind me. Tick…tick…tick… No, not footsteps, but paws with sharp claws hitting the floor. Big paws, and they were approaching fast. My pulse rushed and bile filled my throat as fear made me flee through the dark, one hand skimming the glass wall. My legs raced faster than I knew they could go. What was coming after me? Another predator like the ones outside the arena that had threatened me? No sense in trying to communicate with it, and this time Luc wouldn’t be there to save me. The sound of thundering paws filling my head, I quickened my pace even more, until I felt I was nearly flying. I was almost out, almost safe. I could hear the frightening pounding closer behind me. I ran for my life and even as I thought I would never make it, I reached the stairs. I stumbled upward, knocking my shins a couple of times along the way. I was out of breath. Out of time. But somehow I made it to the top and threw open the door. I flew around the pillar and into the legal part of the casino boat, got myself into the middle of the crowd. But I kept looking back the way I’d come, waiting for whatever was after me to appear. Skye suspects that Luc is the one who chased her–how dangerous is he? The reader gets to discover the details of the Kindred world along with Skye. And hopefully they’ll fall in love with Luc despite his inner demons, just as Skye does. PAWS Chicago, with it’s adoption center, spay and neuter clinic, and at the forefront of animal advocacy. Lincoln Park Zoo, one of the last free zoos in the country. Humane Society of the United States, the nation’s largest animal protection organization. USA Today Bestselling Author Patricia Rosemoor has written 95 published novels that have generated more than seven million sales for eight publishers. Her fascination with "dangerous love" has led her to bring a different mix of thrills and chills and romance to each book. ANIMAL INSTINCTS and CRIMSON DUET (2 related holiday novels at a discounted price) are now available at digital retailers. What is your favorite animal and why? 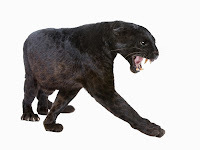 Answer to win a copy of ANIMAL INSTINCTS. Oh I love animals of all types... through the years my fav has changed. Ones that come to mind first are penguins, tigers, horses, hummingbirds, etc. My family likes to donate to some of the animal shelters around. ANIMAL INSTINCTS sounds great! Happy Holidays! Love dogs! Throug the years, our family dogs have provided so much comfort, love and pure joy. This book sounds awesome!! I can't wait to read it. I am a dog lover from way back, have had some type of dog just about my whole life. Visiting the zoo is one of my favorite things, I love seeing all the different animals. Thanks for the chance to win. I think that elephants are amazing. Talk about strong maternal instincts. Hopefully you'll love Boomer, Martha. He's based (as are the cats) on a set of animals I had several years ago. Mary, I love elephants, as well. Several years ago, I had a backstage tour of the San Diego Zoo and got to see an elephant and her baby born hours before. Very sweet. I would have to pick cats as a favorite since mine is sitting right here. My favorite all time animal that I can't have on my farm is puffins. They are along the line of penguins, but more flirty and fun. Their big, colorful beaks and their clownish playfulness make them adorable. I actually got to interact with a few of them when I visited the St. Louis, MO zoo. My fav pets are dogs. My Shih Tzu, Wags, totally owns me.